This is a wide-ranging species occurring in southern Ontario in the Grand and Thames Rivers and throughout the upper Mississippi River drainage, south to Arkansas and Missouri and has experienced some declines in certain parts of the outer limits of its range but is still common in others. It occurs in the Upper Mississippi River drainage generally; Lake St. Clair drainage, and from Pennsylvania northwest to southern Michigan and northwestern Wisconsin, south to Iowa, Missouri, and Arkansas. 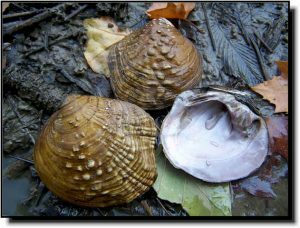 Comments: As the name implies, the purple wartyback has pustules (bumps) on the exterior of its dark brown shell. Internally, the nacre is a coppery-purple color. Because of this colored interior, it was never valued for the button industry. Its shell appears more rounded as compared to other thick-shelled species. 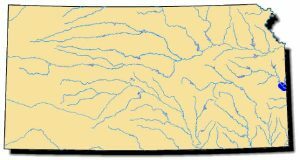 Within Kansas, its distribution and abundance is limited to the lower reaches of the Marais des Cygnes River. However, further downstream in Missouri it was noted as the most abundant shell of the mussel community. It is widespread across the eastern United States but is seldom common at any location. In some of the Great Lakes drainages, the purple wartyback has returned to rivers where water quality has improved.